Sneak Peek! Michelle & Joel married September 24th 2016 , Vale / Terra Wedding , Avon By The Sea beach NJ The Columns. The wedding photography is easy with a location as beautiful as Avon NJ A great place to stay after the wedding is a suite at the historic Cashelmara Bed and Breakfast By-The-Sea in the quaint Victorian seaside town of Avon-by-the-Sea.This B & B is located just 2 doors away from the Atlantic Ocean. The Cashelmara Bed and Breakfast is an easy walk to the Columns on ocean ave. in Avon NJ. Michelle & Joel created their perfect wedding at The Columns in Avon-by-the-Sea, New Jersey, using nautical inspiration with a beachy color palette. They had fun tying in some 2016 presidential election humor.Joel was thrilled to be photographed on the ocean front balcony of the columns with his playful signs. A stunning sunset lead to some amazing beach wedding photography. Avon beach is very quiet in the off season. A great wedding venue. Family and friends enjoyed the music and the unforgettable view.The columns can host a wedding up to several hundred people, it’s a huge old historic mansion, with one of the largest wrap around porches you have ever seen. 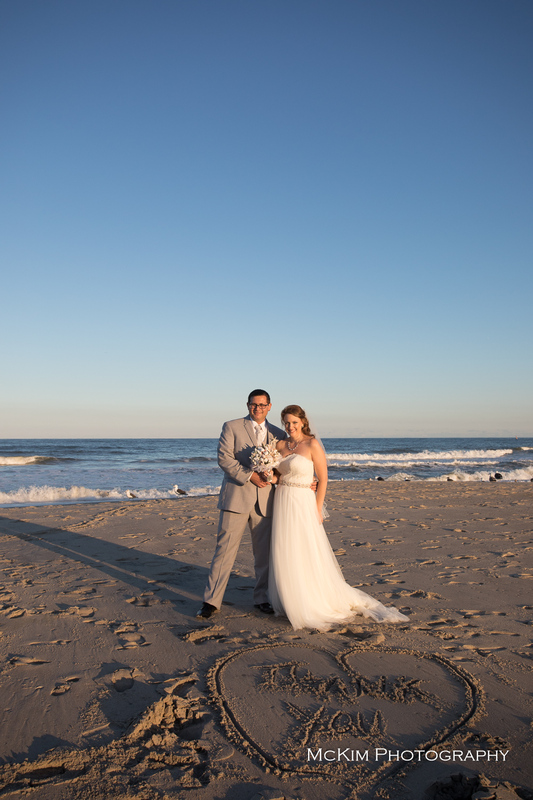 A Jersey shore wedding venue with an amazing view.We love doing wedding photography in Avon NJ.